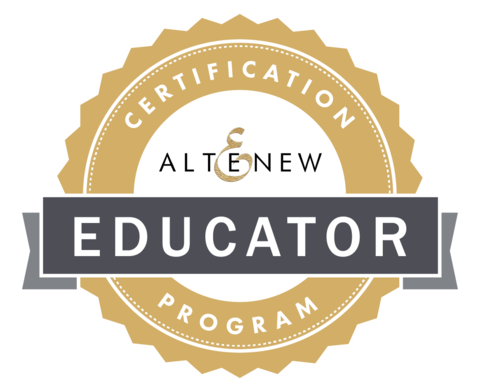 This week I am in a class over at Online Card Classes with Jennifer McGuire and Kristina Werner called Clear & Sheer. Lots of new-to-me ideas are being taught by some of my favorite designers, but it was Jennifer's technique from yesterday morning that caught my attention right away and I had to try it. The classes are all about how to use vellum or acetate in your projects and also how to hide the adhesive. This technique uses Dye Based Inks to stain or color vellum. I love vellum but it is nearly impossible to find colored sheer vellum. Now I know how to make my own in whatever color or shade I want. To start this card I took a sheet of Papertrey Ink Stamper's Select Vellum (48#) and cut it in half lengthwise resulting in a sheet that is 4.25 x 11 inches scored at 5.5 inches and two pieces of 4.25 x 5.5 inch Stamper's Select White Cardstock. This technique will not work with lightweight vellum since the vellum has to be heavy enough to be your front panel and stand on end. I placed a strip of Post-It Tape across the top aligned with the score line to keep the ink only where I wanted it. You could use any kind of low tack tape. Honestly, I am not sure it mattered since I hid the part that was above the colored part. But I did it just to be sure. As you can see, I've used this piece of Post-It tape several times and will continue to do so until it completely loses its tackiness. Using any kind of dye based ink go Direct To Paper (DTP) and swipe the ink pad across the vellum in the color(s) and pattern(s) you want. Then take a dry cloth or paper towel and rub it into the paper. This will remove the excess color and moisture from the paper. I chose to do an Ombre Pattern on two of the cards I made. For the one on the right, I used 5 different Distress Inks. For the one pictured just below, I used Seedless Preserves and Picked Raspberry Distress Inks. Once you get the inks blended how you want, set the vellum aside to finish drying while you create the rest of the pieces. I also used Papertrey Ink Perfect Match Ink Cubes for another card I made as well as some Simon Says Stamp Inks. Any die based ink will work but pigment inks do not work. For the next card, I used a single color (Salty Ocean) on the vellum. To hide your adhesive, just sandwich the vellum layer between two cardstock layers using any strong double sided dry adhesive. How simple is that? For all of these cards, I used Papertrey Ink's Bitty Bouquets Stamps & Dies to stamp the Tulip and Rose bouquets in my MISTI. I really love how I can double stamp with the MISTI in the exact same spot to get the more vibrant color. The roses are two steps and the tulips are three steps. The butterflies all came from the new Color Pop Butterflies Kit by Betsy Veldman for Papertrey Ink. The kit came with several pre-printed images that you can just cut out with the dies included in the kit. There is also a stamp set in the kit but I just used the pre-printed images. I die cut all of the hearts from the Little B Hearts Designer Dies in the next to the largest size and cut a fun foam heart to go behind from the next size smaller so it would fit behind without showing which allows for some dimensional adhesive. I attached all of the die cut flowers using Ranger Multi Medium Matte. The hearts came from the Simon Says Stamp Mini Hearts Die which has three different styles in three different sizes each. And y'all know that I gave everything some Wink of Stella for that extra shimmer. 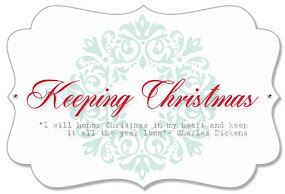 The sentiments came from some older stamp sets by Clearly Besotted and Altenew. I don't have much that is good for Mother's Day but I wanted to get these done, so I made do. Since I always write a sentiment of my own inside, these worked just fine. 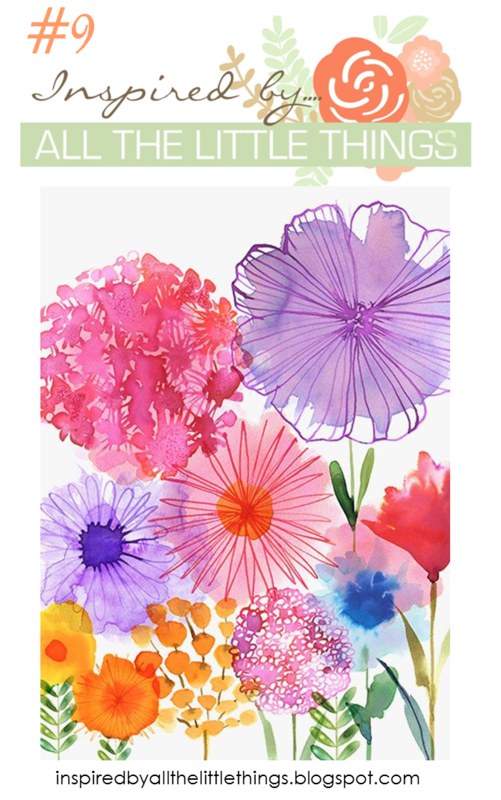 week is for "Anything Goes" and The Card Concept is a Spring or Floral Theme which I am entering in a Clean & Layered Style. I hope to be back later in the week with another project or two for some of the other challenges that are going on. Have a great evening everyone and thanks so much for stopping by. Today is the Monthly Blog Hop for Papertrey Ink and I spent a considerable amount of time figuring out my project for today. Nichole always has the most interesting inspiration photos for us to launch our projects from and this month is no exception! The image on the left is our inspiration photo. It made my head spin with all the different possibilities I can see in it. Do you see pulley's and gears, clock faces, medallions, kaleidoscopes, astronomy charts or something else entirely? 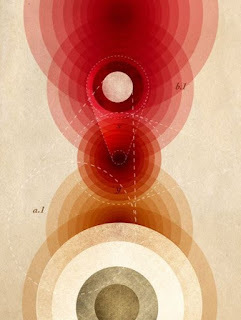 It could be the center of the universe, the center of an eye or probably a hundred other things. There's no wrong or right answer it's all about perspective. For me, as soon as I saw the inspiration image, I thought of Mehndi Medallions and Hands of Time. Ultimately, I couldn't choose between them so I incorporated both into this card along with the Mehndi Medallions Mini Stamp Set. 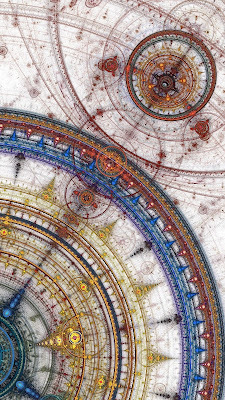 Once the ink blended panel was completely dry, I used both clock faces from Hands of Time Stamp Set and some of the smaller medallions from the Mehndi Medallions Set. I stamped with Versamark and heat set using Ranger Gold Tinsel Embossing Powder. This embossing powder has gold glitter in it so no matter what you are using it on, it looks rich and regal. I also misted a piece of Lavender Moon Cardstock for the mat to the watercolor panel. Funny thing about the Lavender Moon Cardstock -- It's more pink than purple. Both of these were die cut with the largest of the Simon Says Stamp Stitched Rectangle Dies. To get the smaller frame, I carefully realign the paper into the die and cut again making it just slightly smaller than the original frame but bigger than the next size die. I cut the "Awesome" word from a Waffle Flower Die using gold foil poster board which is all I ever use anymore because it is so cost effective. I talked about this in a previous post here. Like many before me, Heat Embossing was my "aha" moment in Stamping and Card Making and I try to incorporate that as often as possible into my cards. You can find embossing powder in a vast array of colors but I use Gold most often. I like both Gold and Gold Sparkle Embossing Powders followed by Platinum and Platinum Sparkle. I'll be adding this image over on the Simon Says Stamp Monday Challenge Blog for their theme of "Show Us Your Metal" and their Wednesday Challenge Blog for "Make It Girly". 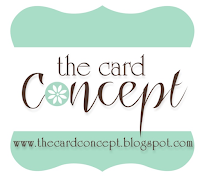 Thanks for joining me on the Papertrey Ink Monthly Blog Hop. I love reading your comments if you'd like to leave one and I hope you'll come back soon to see another project. Hello everyone! Today I have a quick and easy card that is somewhat different than my usual style. I've been working on trying to use all of my supplies which in my case includes a whole host of Prima Flowers and Buttons in every imaginable color. These daisies always remind me of spring and always feel fresh, clean and crisp. For this card, I paired it up with one of the CHA 2016 Release papers called Perfectly Plaid by Lawn Fawn. There are a variety of colors in these papers but I like this fresh blue, white and green plaid for this card. For the stems of the flowers I used the Papertrey Ink Friendship Jar Flowers Stamps and coordinating dies. I started by doing some rough ink blending using Papertrey Ink New Leaf Ink (to give it the variation in color) on a piece of white cardstock. Once I had that done, I stamped the leaf/stem in Versamark over the top, heat set it with Simon Says Stamp Clear Embossing Powder then die cut it. The clear embossing powder gives it a little bit of dimension and shine. I die cut both background panels with a Simon Says Stamp Stitched Rectangle in the largest size. I just re-aligned my plaid paper in the same die to take a little off of two sides so it would be smaller. The next size down in the rectangles made it too small. The "Faith" die cut is from Papertrey Ink's Inspired: Faith Collection and was cut using iridescent white cardstock. I attached the buttons to the flowers with Glossy Accents because I wanted to make sure they were very secure. Everything was mounted to a Top Folding A2 Card base made from Papertrey Ink's Stamper's Select White Cardstock. A super quick and easy card. In other "schtuff" today, I sat down and took apart all of my watercolor paper pads (Fabriano, Arches Cold Pressed, Arches Hot Pressed and Canson Bristol) to be individual sheets and then took all of those to Fed Ex/Kinko's to have them cut down to 4.25 x 5.5 inch panels. Hobby Lobby actually has their Watercolor Paper Pads on sale this week for 40% off - any brand. This is the first time since I have been buying it that it has gone on sale. I normally buy the pad I like with my 40% off coupon but I definitely don't need any right now. I really love the Arches (pronounced Ar-chez) Hot Pressed as it will hold a lot of water without pilling and it's very smooth, but it isn't as white as what I normally use and it's better quality than I need for what I am doing. If you know how to do any freehand watercolor, this is what I'd recommend. I am going through way too many of my "no longer available" trimmer blades so I figured I'd just have all my specialty paper cut down. Their industrial blade made quick work of that task! I also took 4 packages of Papertrey Ink Stamper's Select White Cardstock and had it all cut down to 4.25 x 11 inches. Now it's just ready to go in a drawer in my studio. Occasionally I do make wide top folding cards so I did put a bit of white cardstock aside for those, but all in all it will be much easier to have card bases ready to score and go without having to stop in the middle of whatever task I'm on to cut a card base. Now... if I just would have ordered the right sized envelopes to go with those I would have it made. I think it would cost me more to send them back to Amazon than to just keep them. But I do wish I had ordered the right ones and I'm glad I'm not out yet. Thanks so much for stopping by today! Have a great weekend everyone. It's shaping up to be a nice one here. 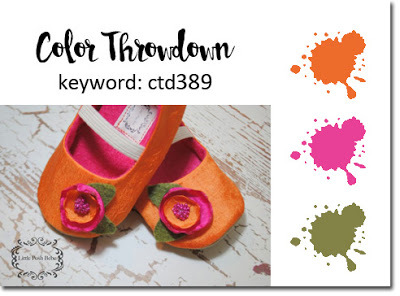 Over at the Color Throwdown Challenge this week, the colors are Orange, Pink, & Green. 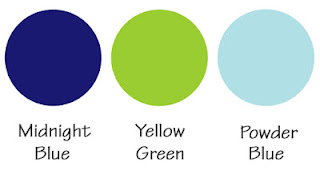 Any shades in those color families is fine to use. I wanted to watercolor this new image that came in the mail on Monday called "Organic Blooms" from Mama Elephant. I really like the size of the image as it takes up a good deal of the front of a card. In fact, by the time I cut it down to fit on the largest Simon Says Stamp Stitched Rectangle, I lose just a bit off one side. I won't always want to layer it, but I did for this card. With this stamp set, the bouquet arranging is completely done for you which is great for me as I'm not that good at masking with heat embossing. I tend to mess up one part before I can get the next part done. Masking is a tricky technique for heat embossing, but one I'm hoping to master sometime soon. On a 4.25 x 5.5 inch piece of Canson Bristol Watercolor Paper, I stamped the image in Versamark and heat embossed it using Ranger Gold Tinsel Embossing Powder. For my watercolor I used my favorite medium, Distress Markers, in Ripe Persimmon, Worn Lipstick and Peeled Paint. I did all of the leaves in this image by scribbling some ink onto an acrylic block and picking up the color from there. I have to say, that is not my favorite. I don't like all the hard edges that happened as a result of the water pooling but I know some people like it when that happens. I wanted to try it and it's okay but it's not my style really and I probably won't do it that way again. I definitely wanted that olive color tone that is shown in the inspiration image. The Worn Lipstick is definitely kind of a coral-y pink that I knew would look great with the Ripe Persimmon of all the buds. I tend not to use a lot of Olive Green, but I should do it more often as it is a natural complement for many floral arrangements. All the watercolor has a coat of Wink of Stella Clear Shimmer over the top to go with the metallic sparkle of the embossing powder. Once the watercolor was completely dry, I stamped my greeting from Papertrey Ink's Scripted Stamp Set, also using Gold Tinsel Embossing Powder. "Just Because" are my favorite kind of cards to send out. This one is really simple and straight forward but the watercolor really helps it to have high impact as soon as the recipient opens the envelope. A dear friend told me yesterday, "You are using your God given talents to bless others. Don't ever think it isn't a blessing because it is." And that folks, is why I make cards. Have a great day everyone! Thanks so much for stopping by. I'll be back soon with another project to share with everyone. 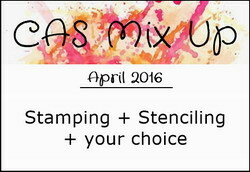 Today I wanted to play over at the CAS Mix Up Card Challenge. I already did on Saturday, but my card was not as Clean & Simple as it probably should have been so I decided to give it another go this morning. Fair is fair after all. I don't know if I've ever made a true one layer card in my life so this is as close as I ever get. I'm also trying to go through my stamp sets and use them in new ways. There was something I liked about them in the first place or I wouldn't have purchased them. I'm ecstatic about the current Photopolymer Stamps that are out as I can store so many more than I can in wood mounted or even cling mounted stamps. But I have several wood mounted sets in my supplies that have been sadly neglected. It was one of those that I dug out this morning. This is actually a multi-layering set where you are supposed to stamp each layer in a deeper color but the brushstroke style of this set is what I used as my watercolor "brush" this morning. It's really hard to stamp multiple layers when they are wood mounted stamps but I do love this set called "Roses in Winter" from Stampin' Up in 2003. As much as I would like to, I just can't seem to freehand watercolor yet, so I have to find ways to create watercolor looks that work for me. I was surprised at how easy it was to do this using just a single layer of the images. White space is really important in this style and I think it worked perfectly. Both of these cards are straight up stamping. For one card I used a combination of Mowed Lawn Distress Ink and Vintage Jadeite from Papertrey Ink for the leaves and stems and the other I used just the Vintage Jadeite. For the Roses I used Worn Lipstick Distress Ink. I think Worn Lipstick is my 2nd favorite of the Distress Inks after Seedless Preserves. The butterflies were stamped in Lavender Moon and Hawaiian Shores Ink from Papertrey Ink. The piece with the lavender butterfly was attached directly to a Berry Sorbet Top Folding Notecard and the other was matted with the Berry Sorbet and then mounted on an Ivory Top Folding Notecard. The Arches Watercolor Paper is definitely not as white as some of the other papers I use so it would have been very noticeable if I had used white card bases. Both greetings came from Graceful Greetings by Papertrey Ink and were stamped in Versamark and heat embossed with Simon Says Stamp Antique Gold Embossing Powder. It's important to note that the #140 watercolor paper holds water much longer than the Bristol I usually use. Be sure to let the paper dry before attempting to heat emboss it. I had a bit of a mess on one of my panels and I had to wipe the Versamark off and start again. Regular Cardstock would not be so forgiving of this process but I was okay to wipe it off with a baby wipe since it was watercolor paper. For the last touch I used Versamark Pen with a stencil that has some dots as part of the pattern and heat embossed them so I could also enter them in the Simon Says Stamp Wednesday Challenge theme of "Let's Do The Polka". Both Stitched Rectangle Panels were spritzed with Tsukineko Sheer Shimmer Spritz and allowed to dry before assembling the cards. 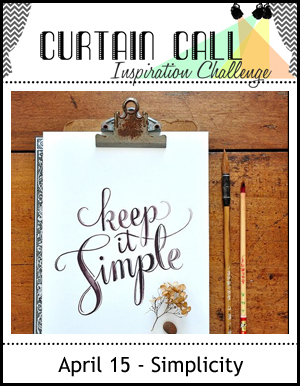 I like how these turned out for a Clean & Simple Card Challenge and the Curtain Call Keep It Simple Challenge, proving that you don't always have to use a gazillion layers to have a nice card. Have a great day and come back soon to see my next project. I stayed home from a wedding this weekend since one of my puppy girls was so sick. When my husband arrived home this morning, he came bearing gifts from my girlfriend, Carol Jean. Her husband and mine have been friends for years and it was her son who got married yesterday. I'm not sure if my husband met me before or after his friend JD (although I just asked him and he said I came first). I I had never asked. I have known my husband all of my adult life and we have been married for almost 32 years of that life. Carol Jean was the conservator for JD's Auntie Kay who lived in Topeka, Kansas where my husband and I did from 1986 until 1997. Carol Jean would come to town from Dodge City, where they lived at the time, and tend to Auntie Kay's business and just have a good time visiting with her and taking her all the places she wanted to go that weekend. Oh my - the adventures we had with her. There's a whole lot of history in Kansas if you know where to look for it. Carol Jean always stayed at our house and through the years, we became pretty close friends which was nice since our husbands are such good friends. Auntie Kay always had a saying, "The Good Lord gives you your looks and Father Time takes them away". She was so funny and fun to be around. She was young at heart and I am pleased to have a piece of Cranberry Glass and Pink Depression glass that had been hers. I used to have quite the collection of Pink Depression Glass but I only have the pieces that are near and dear to my heart now. That's still a significant number of pieces, but I haven't added anything to the collection in over 18 years. Carol Jean and I both know how to sew and we had many a trip to Hancock Fabrics or anywhere they carried fabric through all the years that we've been friends. She and JD married just the year before hubby and I did. She still does quite a lot of sewing although not as much as she used to. I only sew if I need to do a repair and my sewing machine is not working all that well due to lack of use. So I was pleased when I saw the Tie Quilt and matching pillows she had sent home for me. The fabric was purchased many years ago during one of those afternoon excursions when we'd be visiting each other's home. They live on a Ranch in Sharon, Kansas now and we enjoy visiting them even more. 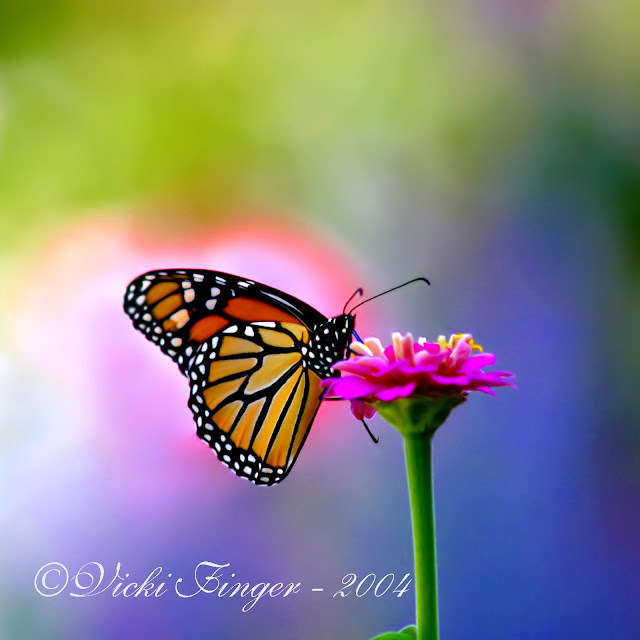 My butterfly avatar is a photograph I took while visiting their ranch. Now, that isn't the first time she has made me a tie quilt but the first one finally got eaten by the washing machine and came apart several years ago. This new one is fantastic because it is longer than any others we have from her. And there's just something special about having a blanket with your name on it (so to speak) that is comforting. I know this holds true for at least one of my grandsons. I had two blankets made for him before he was born and one of them is embroidered with "Xander is Mimi's Star" with a big embroidered star on it too. The other one is nearly identical except that it doesn't have those words on it. But when it's time for him to go to bed at night, the "right" blanket has to be there and trust me, even before he could walk or talk he knew which one was which. I wanted to get a card made up to send out in the morning mail thanking her for the handcrafted gift. I will treasure it and she was so busy this week taking care of wedding things for her son. It was incredibly generous of her to make time to do it! I wanted to participate in The Paper Players Challenge and The Tic Tac Toe Challenge this week. 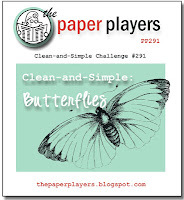 The Paper Players challenge is "Butterflies". Seeing as how I love them, that was easy to include on my card. 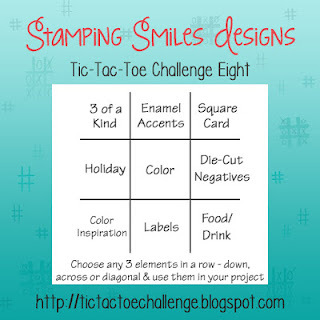 For The Tic Tac Toe Challenge, you are supposed to select three options in a row, but I don't like square cards so I included three butteflies for the 3 of a kind and I also used their Color Inspiration Image as well. For this card, I started with a piece of Vintage Jadeite Cardstock from Papertrey Ink trimmed 1/16th of an inch smaller than 4.25 x 5.5. I cut the Cover Plate: Twist from a piece of Navy Cardstock and adhered it over the top of the Vintage Jadeite using Ranger Multi Medium Matte. Once the glue had a few minutes to set, I ran it through my die cutting machine with the embossing pad which helps to create an inlaid look. Using the Altenew Beautiful Day Stamp Set and coordinating dies, I heat embossed the leaves onto Vintage Jadeite, then die cut them. I heat embossed the flower onto Canson Bristol Watercolor Paper. Both of these used Simon Says Stamp Antique Gold Embossing Powder. I wanted a way to soften the background pattern and to use the flower and leaves as a frame so I die cut a Stitched Oval out of Papertrey Ink Stamper's Select Vellum from My Favorite Things Oval Stax and heat embossed the "Thanks" from Graceful Greetings using Ranger Gold Tinsel Embossing Powder. The Butterflies were stamped onto vellum as well with the Antique Gold Embossing Powder and cut out using the coordinating punch from Stampin' Up. I colored the back of the vellum butterflies with Copic Markers and went over the top with Wink of Stella Clear Shimmer Pen. For the Flower, I used Nicholson's Peerless Watercolors in Sky Blue. The leaves were glued directly to the card panel over the vellum, hiding the adhesive behind the flower and leaves so it wouldn't show. I also cut a narrow strip of foam adhesive to put down the center of the butterflies' bodies. That allows me to "fluff" the wings up a little bit. The flower was adhered with Thin 3D Foam Squares for easy mailing. Once it was assembled, I adhered the entire panel to an A2 Top Folding Card Base made from Stamper's Select White. I'll also be entering this over at the Simon Says Stamp Monday Challenge Blog for the April Showers Bring May Flowers theme. Thank you so much for stopping by my blog today. I hope you'll come back another time. I'll be back soon with another project to share. I am so happy to be back on my blog again this evening. I have had a tough week this week, especially the last 48 hours while one of my little puppy girls has been so sick. In the last hour, she has really rallied and is back with her happy feet and playful manner. She will always be like a puppy no matter how old she is. I mean, really, who could resist this face? But she has been pitiful! I started so many projects this week and I was not happy with any of them until now. This one is not what I originally had in mind, but I do love it. In some ways, this started as an experiment with some of my Peerless Watercolors. It is so hard to get a deep red in any kind of watercolor. I didn't go as far as getting out my tube watercolors, but I have been intrigued by this color called Carnation Pink which is one of the Pretty In Pink Collection by Nicholson's Peerless Watercolors. I have all of those colors swatched but this one is decidedly more red than pink. I could have made it Pink by increasing the amount of water, but I love how intense I was able to get this red. It takes lots of layers of Festive Berries to get anything even remotely close to this. I water colored the flower and the leaves on the extra images and the flower layer on the card base panel. I wanted to pop up the top layers on Thin 3D Foam Squares (Scrapbook Adhesives makes it in white and black) and I didn't want the unpainted image to be noticed underneath, so I painted it. I die cut the extra for my top layer. As I mentioned, the rose is water colored with Carnation Pink and the leaves with Hunter's Green, both Nicholson's Peerless Watercolors. Once that was done, I die cut the panel with a Simon Says Stamp Stitched Rectangle in the largest size. This week over at the Simon Says Stamp Wednesday Challenge Blog the theme is "Let's Do The Polka", which I immediately interpreted as Polka-Dots. I am not really a polka-dot kind of girl, so I took liberties with the theme. I used one of my stencils that has the three dots in the curve and using a Versamark Marker, inked it up then heat embossed it with Ranger Gold Tinsel Embossing Powder. I went over all of the dots a second time and added more embossing powder. I love the whimsical feel this added to my card. I used the Hero Arts Love Stamp & Cuts set for the sentiment and die cut the word from Gold Poster Board then adhered it to my panel with Ranger Multi Medium Matte. The butterfly is from SU's Papillion Potpourri as is the matching punch. I was going to use a bigger butterfly die cut, but that seemed to overwhelm the rose so I went with this smaller one. It's heat embossed on Papertrey Ink Stamper's Select Vellum. I made a top folding A2 card base using Papertrey Ink's Pure Poppy Cardstock. I plan to surprise my husband by sneaking this into his lunchbox to find. I wonder how long it will take him? I'll be entering this card at the Simon Says Stamp Wednesday Challenge "Let's Do the Polka", the Simon Says Stamp Monday Challenge of "April Showers Bring May Flowers" and the CAS Mix Up Challenge with my 3 being Stamping, Stenciling, and Watercolor with Die Cutting and Heat Embossing thrown in for good measure. I hope you all have a great rest of the weekend. Thank you so much for stopping by and leaving me a comment if you'd like! I love pink and purple. I love it even more if they are somehow combined into one thing as long as the shades are right. Granted, you can't just pick a couple of random shades of these two colors and toss them together like a salad, but when you take the time to select just the right shade, it can be magic. You'll probably be surprised to find out that I watercolored these flowers from the Altenew Peony Bouquet Stamp Set with Papertrey Ink's Lavender Moon Ink. The leaves were watercolored using Vintage Jadeite, a green that I absolutely adore. I did this by smooshing some ink onto an acrylic block and using my water brush to paint with it. Shades of purple rarely behave as expected when combined with water. The first layer of color I put in was truly a soft lavender shade but when I added in the second layer of color, it seemed distinctly mauve which then made me start thinking about how nice they would look with the Autumn Rose Cardstock from Papertrey Ink. I cut each of the flowers and leaves out with the coordinating Peony Bouquet Die Set. I used a My Favorite Things Oval Stax for the Stitched Oval Piece and I cut that from Gold Foil "Cardstock". I don't know if y'all pay much attention to the price of gold foil cardstock, but I've been using Gold Foil Poster Board recently. I can find it on sale often at Hobby Lobby (2 sheets for $1.00) and I can use as much as I want of it since it isn't costing me $2.00 for a sheet of 12 x 12 inch paper. The Poster Board comes in a sheet that is 24 x 36 inches so when I get it home, I cut it into sheets that are about 12 x 18 inches. The cut doesn't have to be perfect, I'm only trying to manage the size I'm storing. I just use my Tim Holtz Scissors and it's easy. The Sentiment is from Graceful Greetings and was stamped on vellum in Versamark then heat set it using Simon Says Stamp Antique Gold Embossing Powder. I cut it out with the coordinating Graceful Greetings Dies. I've mentioned before that my Mother-In-Law resides in a nursing home. One of the things she really liked before was to get a greeting card. She isn't really aware of a whole lot that is going on around her now, but she enjoys looking at her cards. One of my Sister-In-Laws reads them to her whenever she goes to visit. I try to keep a pretty steady stream of them going her way and I made this card with her in mind. Over at the Word Art Wednesday Challenge Blog, they always have a challenge of "Anything Goes" as long as it is family friendly and uplifting so I'll be linking up to their blog. The Simon Monday Challenge this week is for "April Showers Bring May Flowers". And last but not least, I want to share this over on the Papertrey Ink "Create Along With Us Challenge. 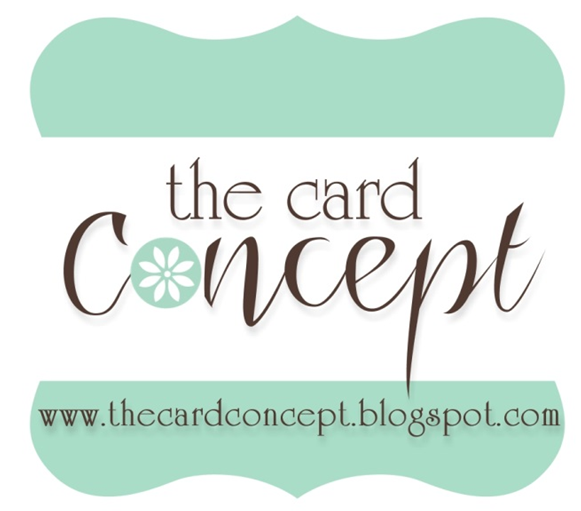 My color choices were totally inspired by Melissa Phillips' Succulents Card found here. Melissa has a way with soft, gentle color! Thanks so much for stopping by today! I'll be back soon with another project for you. 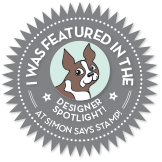 This past week was release week for a stamp company that I really like, WPLUS9 Design Studio. Dawn Woleslagle owns the company and designs the stamps, many of which are based on her original watercolor pieces. Now keep in mind that all companies have release week but how often depends on how new they are as a company. WPLUS9 is a fairly new company and I think they have new releases every 2 months. It was with great excitement that I awaited this week's release because it had the second in the series of Beautiful Bouquets. This one is Dahlias, which I love. Dahlias come in so many different colors just like the first Beautiful Bouquets: Ranunculus. Put Ranunculus or Dahlia into the search window on Pinterest and you can see some truly spectacular floral photographs. 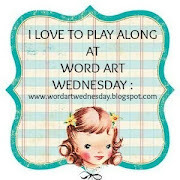 Over on the Word Art Wednesday Blog, the theme this week is anything goes. I think anyone and everyone can use a word of encouragement at any time and I like sending them to let people know I've been thinking of them. I started by stamping my image in Simon Says Stamp Antique Gold Embossing Powder on a 4.25 x 5.5 piece of Canson Bristol Watercolor Paper. For the watercolors, I used Distress Markers in Wilted Violet, Mowed Lawn, Worn Lipstick and Picked Raspberry. The sentiment is from Papertrey Ink's "Scripted" Stamp Set. It has become a favorite along with Graceful Greetings. There's a whole slew of different ways you can put all of the greetings together for many different occasions so I love the versatility. I really wanted a striking color combination for this image so I cut a Simon Says Stamp Stitched Rectangle from SU! Wisteria Cardstock, then cut another mat from Simon Says Stamp Blue Violet Cardstock and mounted that to the top of an A2 Top Folding Card Base made from Papertrey Ink's Tropical Teal Cardstock. I want to get this in the morning mail so I am going to wrap up this post. Thanks so much for stopping by. 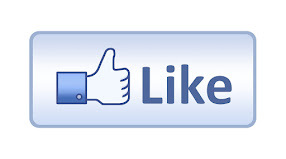 I have several projects that I'm working on this week, so be sure to check back. 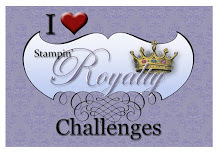 Don't forget to check in over at Word Art Wednesday and see all of the beautiful creations there and Simon Says Stamp Monday Challenge "Try to Resist". I sat down yesterday morning with a deliberate plan to use my Nicholson's Peerless Transparent Watercolors which are available at Simon Says Stamp or Ellen Hutson, LLC. I got these last November on a Black Friday Deal but never got them swatched until about halfway through February of this year and this is actually the first time I've used them. Nicholson's Peerless Transparent Watercolors are intensely concentrated mineral pigments that come on a paper substrate or "film". To activate them you only need to touch a damp paintbrush to them. Charles Nicholson developed this dry form of watercolor in 1885 and the original formula is still in use today, more than 130 years later. The colors are rich, vibrant and very transparent. You can use the color straight from the paper or you can touch the color to an acrylic block to add water until the intensity of color you want is achieved. This first card used Robin's Egg Blue and Grass Green which are both part of the Bonus Pack of colors. I mixed both colors with a bit of Perfect Pearls Pigment Powder and water and layered in my color as I would with any other watercolor medium. Because the Peerless are so vibrant, I only needed to do two layers of color. By the time I finished painting the second flower I could go back to the first one for the 2nd layer of color with no waiting. I'm not using much water in most cases so that I have more control over where the color is more or less intense. I'm using a #4 Round Silver Black Velvet Paint Brush but I use a water brush equally as often. I made a card base from one of my favorite card stock colors called Hawaiian Shores from Papertrey Ink. I was delighted when I realized that this paper is the exact same color as Audrey Blue. My second card was painted with Garnet Pink which is part of the Pretty In Pink Peerless Watercolors; a 6 color set. The stamp set I used for these cards is called Persian Motifs from Altenew. There are coordinating dies available although I didn't use them today. I heat embossed the "Hello" sentiment from Graceful Greetings by Papertrey Ink after I had watercolored the flowers. This set also has coordinating dies available. The card base I used here was made from Papertrey Ink Autumn Rose Cardstock. My last card today is done in Geranium Pink (a favorite) from the Complete Edition and mounted onto a Regal Rose Cardstock base which is a SU! no longer available color. I'm happy to say that I have now used all three editions of Peerless Watercolors that I acquired all the way back in November. Each of the card fronts was cut with a Simon Says Stamp Stitched Rectangles Die in the largest size. Such pretty flowers will make for some bright and cheerful greeting cards for friends and family. I used my favorite method of watercolor here by heat embossing my images in Simon Says Stamp Antique Gold Embossing Powder which has become my favorite due to the warmth in this tone. The theme over at the Simon Says Stamp Monday Challenge Blog this week is "Try to Resist". Thanks so much for stopping by today and I will be back very soon with another project. 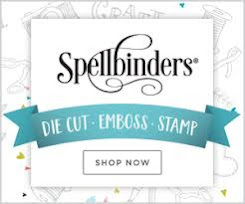 The supplies I've used are linked in my post or there are links in the sidebar for Papertrey Ink, Simon Says Stamp and Ellen Hutson, LLC.